KāhuBaby brings you Simple Togetherness in 3 easy clicks. Our secure, quick buckle fastenings make carrying simple for everyone. 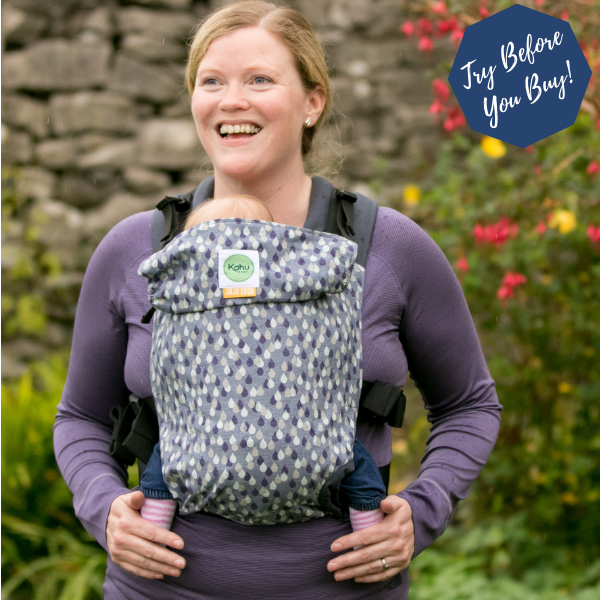 The comfortable KāhuBaby Carrier offers complete support in 4 carrying positions, giving you options for all stages of your baby’s development. 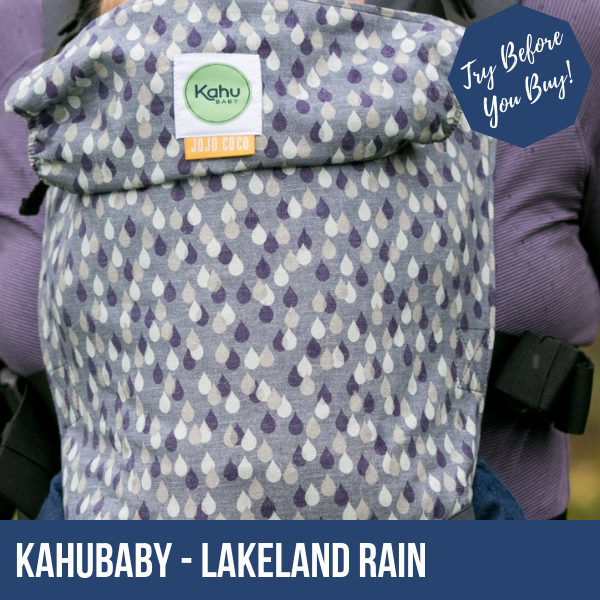 Suitable from newborn, the KāhuBaby Carrier adjusts easily to comfortably hold your baby in an ergonomic position. The simple cinching mechanism is designed for total adjustability, with a built-in comfort stopper. This means safe and comfortable carrying with babies and toddlers. With its flexible waist that moulds to your body, Simple Togetherness with your child is just a moment away. 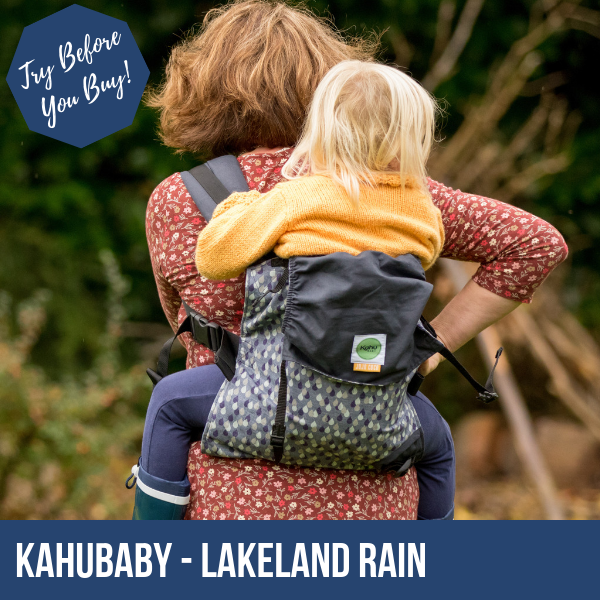 KahuBaby have designed the shoulder straps to enable you to cross them over your back, or to front and back carry with them in a “rucksack style”. 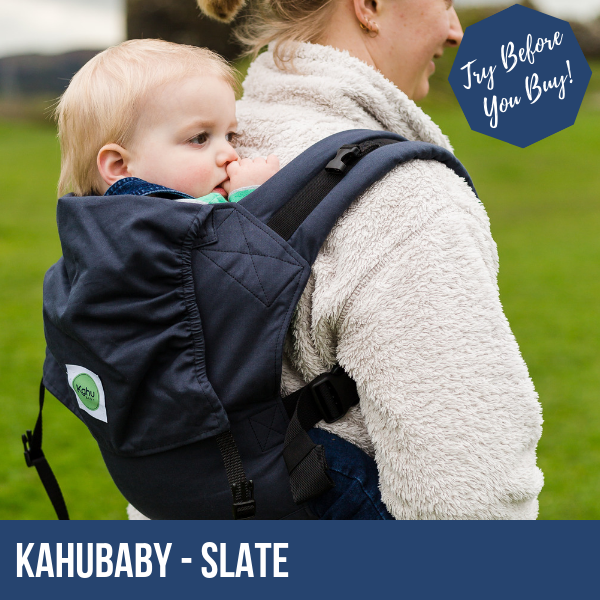 KāhuBaby’s close fit and supportive straps mean support for your back and shoulders without the need for a bulky lumbar support. KahuBaby’s unique cinching adjustor for the base of your carrier enables you to simply alter the width of your KahuBaby Carrier. 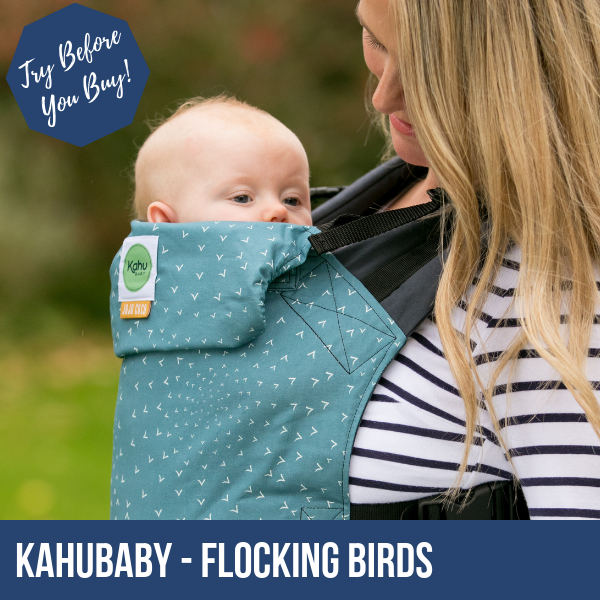 It makes your KahuBaby Carrier suitable for carrying newborn babies – just gently pull the webbing into the narrowest setting. There are infinite size adjustments, all simply done by altering the length of the cinching webbing. From 5-6 months, you’ll have the base on the widest setting. KahuBaby’s upper adjustor has also been designed to support newborn babies, until your child has strong head control at around 4 months of age. 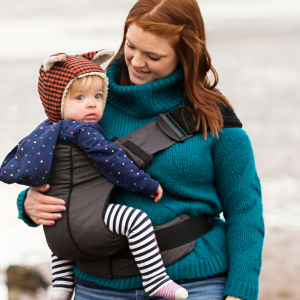 Simply pull in the upper adjustor so that it draws in the top of the carrier so that the carrier fits gently and snugly, but not tightly, around the nape of your baby’s neck. 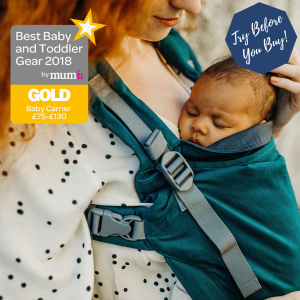 We know from our work with parents and carers, that you’re looking for a baby carrier that enables you to carry your child facing away from you. We’ve designed your KahuBaby Carrier to allow you to do this. KahuBaby recommend that if your child is old enough (5+ months) and shows signs of wanting to be carried on your front and facing away from you, in this position, that you limit it to 20-30 minutes each time. 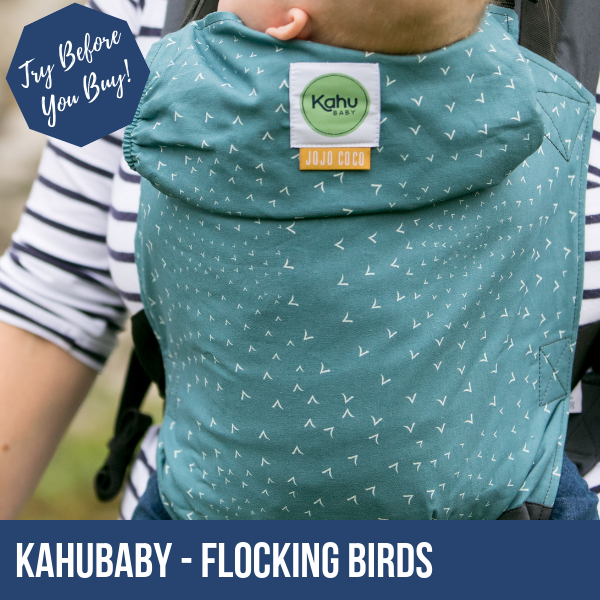 You can use KahuBaby’s unique cinching adjustor, with it’s built-in comfort stopper, to set the width of the carrier’s base to its narrowest setting. When you’re ready to turn your baby back into you, simply expand the width again with the unique cinching adjustor. 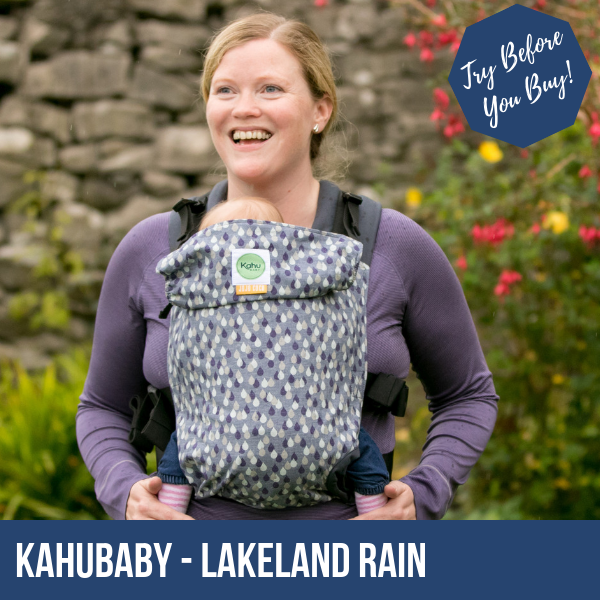 Carry every which way with KahuBaby! 4 carrying positions means options for you and your child. Your favourite carrying position will depend on your child’s developmental stage, and what works best for your family at that time. 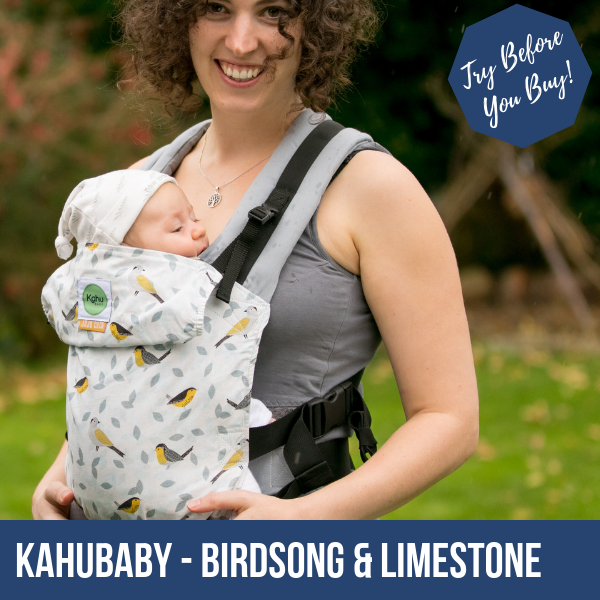 In a KahuBaby Carrier, your child learns about the world from a safe place, and from your height. Your child learns language and a myriad of social cues when facing into you, and is still able to look around and take in the scenery. Carrying an older baby or toddler on your hip is instinctive, and as humans we’ve been doing it for millennia. 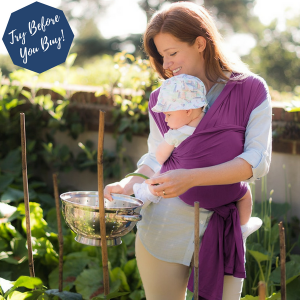 You’ll find your baby gets a good view from your hip, and with KahuBaby your arms are both free to get stuff done. We know from working with parents and carers, that at times some children are happier facing outwards while being carried. KahuBaby recommend carrying your child in this position for 20-30 minutes at a time, only while your child is awake, and no younger than 5 months of age. If you have an older baby or a toddler, you may find it more comfortable to carry your child on your back. With KahuBaby, you can do this own your own, without assistance from another adult. 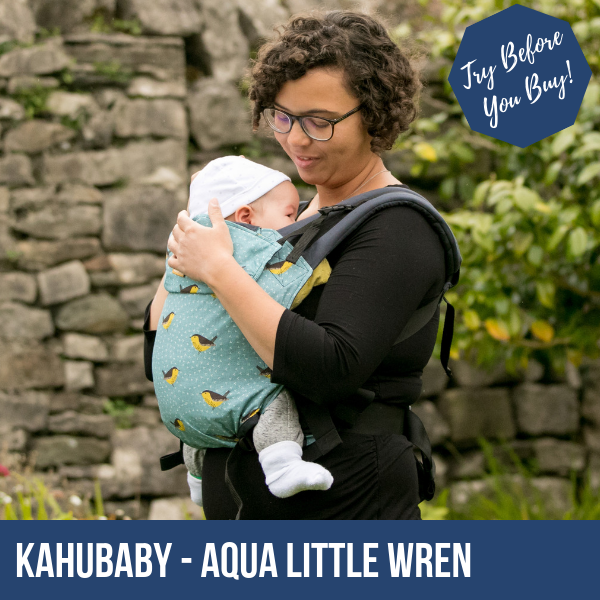 Step-by-step instructions are included with your KahuBaby Carrier, and you can find our instructions on their website too. We recommend that your baby is sitting unassisted before carrying him/her on your back. 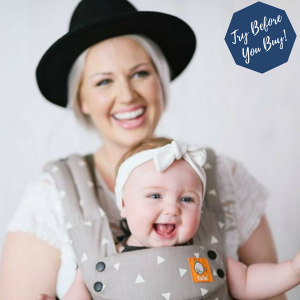 KAHUBABY CARRIERS ARE NOW AVAILABLE ON A TRY-BEFORE-YOU-BUY BASIS! 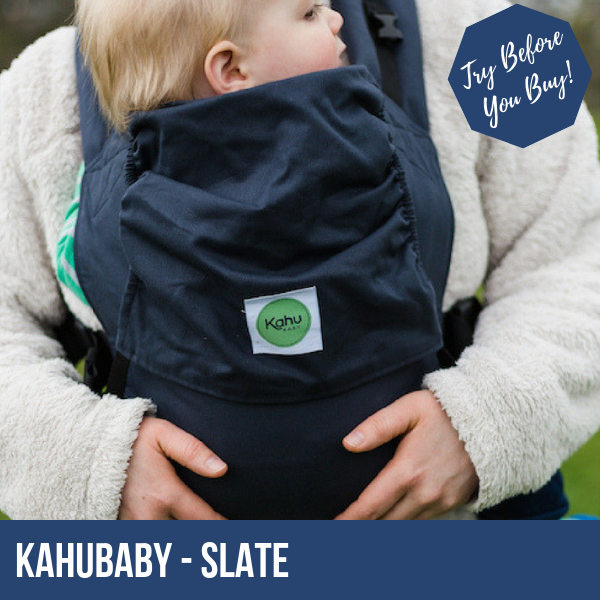 If you’d like to try one before buying, buy a new KahuBaby Carrier online and try it out. If for any reason you don’t like it, return it within 2 weeks of the purchase date and you will be refunded the purchase price (minus the £15 2-week hire fee and outgoing postage). Just get in touch to let us know you’d like to return it and to request the return address.